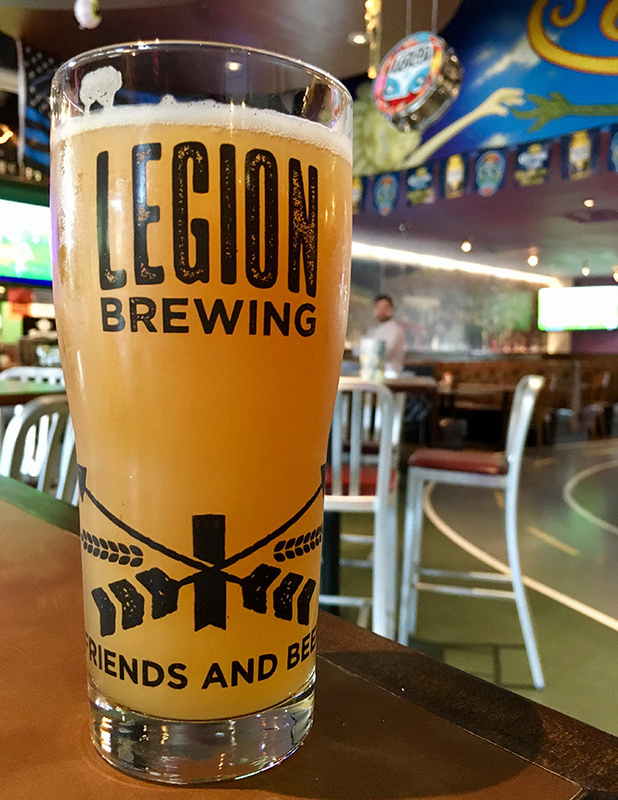 Legion Brewing is landing in SouthPark in fall 2018, and it’s kind of a weird move. It goes against a lot of what we think we know about brewery culture, Charlotte neighborhoods, and local business. Here are four questions raised by this boat-rocking expansion, with insight from Phil Buchy, Legion’s master brewer. He opened Legion’s flagship location in Plaza Midwood in 2015. #1 Who’s the market for a SouthPark brewery? Breweries are associated with the hip and young of Charlotte. These people have plenty of free time to spend boozing, flirting, and just hanging out. SouthPark is different. It’s wealthier, with an average home value of $326,900, compared to Plaza Midwood’s $211,200. SouthPark is also older. The average SouthPark resident is five years older than the average Plaza Midwood resident. Is Legion Brewing going to serve SouthPark’s millennial community? Or is there a community of craft beer-loving baby boomers pumped to not have to drive into Plaza and NoDa anymore for drinks? Phil says it has more to do with SouthPark’s love of retail and new eateries. “SouthPark has a thriving retail and restaurant scene. However, it does not have a brewery. Legion will scratch that itch by bringing a fun, funky, comfortable, friendly neighborhood offering to their new home in this important part of our city,” he said. #2 Could other urban local businesses expand to south Charlotte? If Phil and the Legion team are right about an unscratched itch for funk in south Charlotte, you’ve got to imagine way more urban businesses might make a play for the ‘burbs. 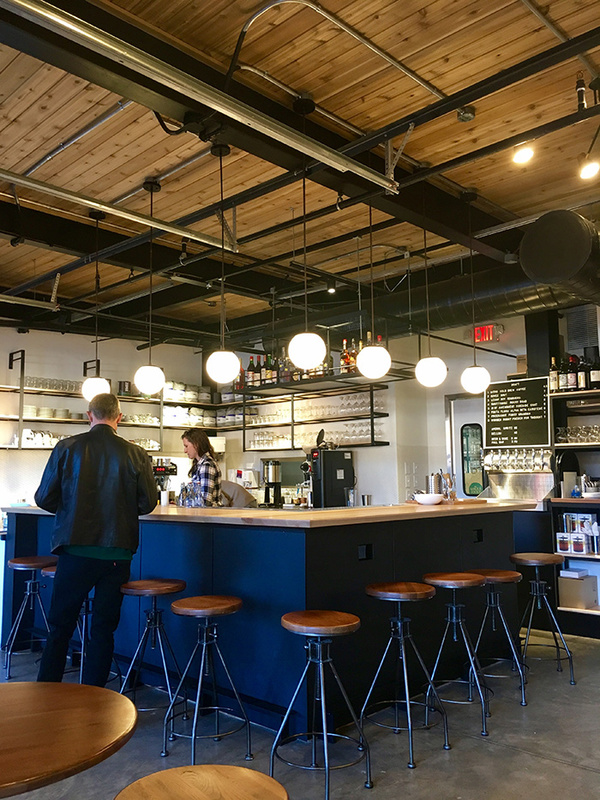 South End’s Living Kitchen made the move last year, as did Elizabeth’s Sabor Latin Grill and NoDa’s Amelie’s. Who’s next? Not Just Coffee – Starbucks and Caribou need some local competition in the heart of SouthPark. Rhino Market – Adding Rhino Market to one of Ballantyne’s corporate parks would create a casual weekend hangout spot for a hood sorely lacking that. VBGB – South Charlotte has a lack of beach volleyball and giant Jenga. VBGB would balance well with Bradshaw Social House near Blakeney. #3 How will this impact current SouthPark businesses? 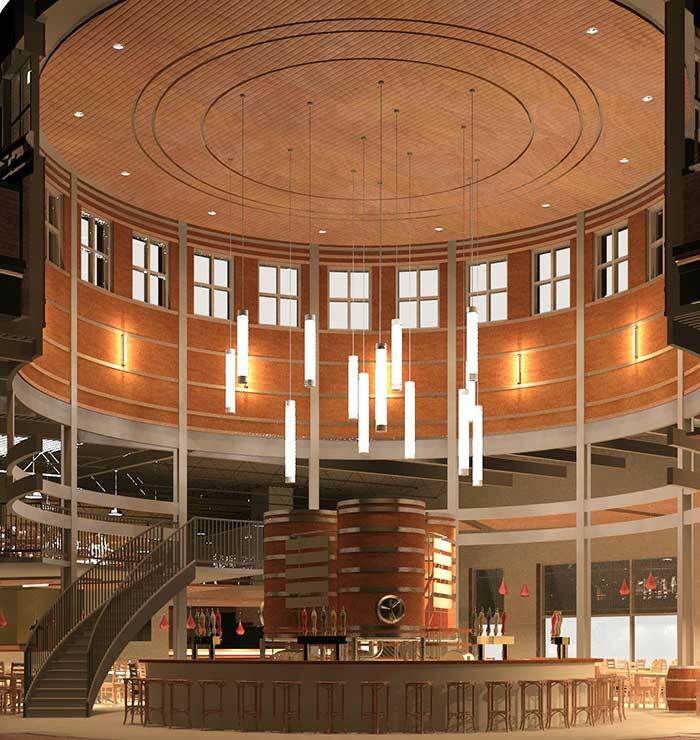 SouthPark’s Legion Brewing is going for a more upscale feel than their Plaza Midwood location. By serving craft beer in a SouthPark-friendly atmosphere, it’s hard not to wonder if SouthPark’s chains will be impacted. Who’s going to go to the bar at Cheesecake Factory or Taco Mac once Legion is open? It’ll come down to convenience. If Legion can be less packed on a Friday night for dinner than the chains, they’ll make a killing just on outgoing SouthPark peeps who are sick of waiting 45 minutes for a table. 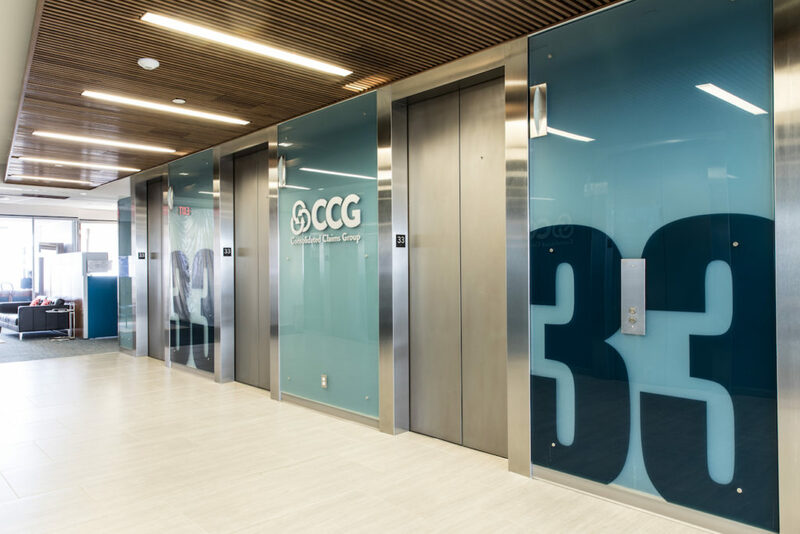 #4 What does this mean for the traditional narrative of development in Charlotte? The development narrative in Charlotte is bleak. Ugly apartment complexes ravaged Elizabeth to the point that newer Charlotte arrivals don’t even know we used to say NoDa, Plaza, and Elizabeth when talking about the hippest parts of the city. 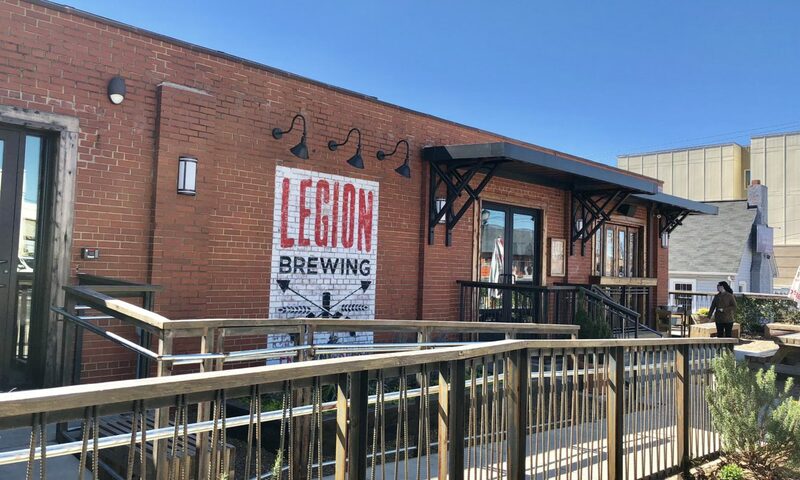 But Legion Brewing making a splash as south Charlotte’s first brewery gives a different possible future for our beloved bohemian hoods. Maybe neighborhoods don’t have to die. Maybe they can stretch, and take new shape.